Frequent shoppers to Saturday’s downtown Franklin Farmer’s Market know Donna Gains only as a fromagère, or the French feminine term for cheese seller. Many are repeat customers for her garlic-infused chèvre, “Cowboy Candy,” and plain chèvre. 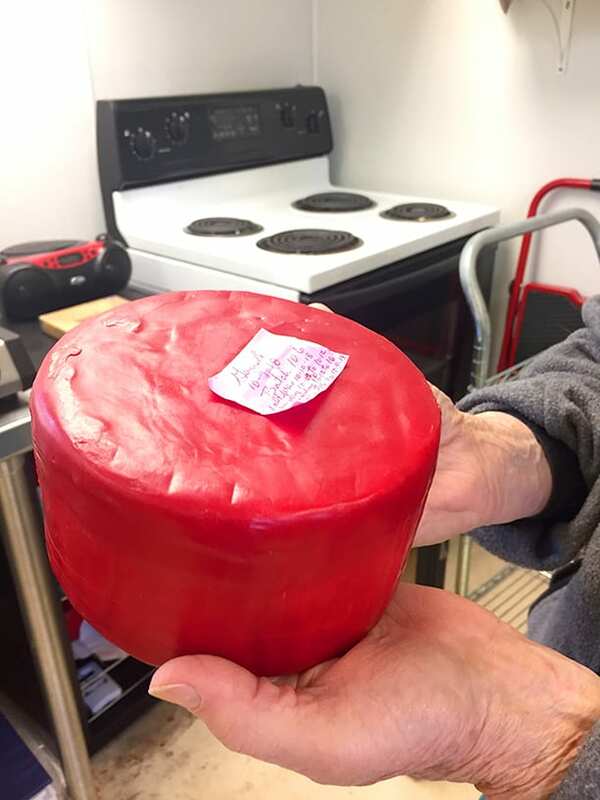 Individuals fortunate enough to tour her farm overlooking the Nantahala Mountains understand the complexities involved in actually bringing that cheese to market weekly. 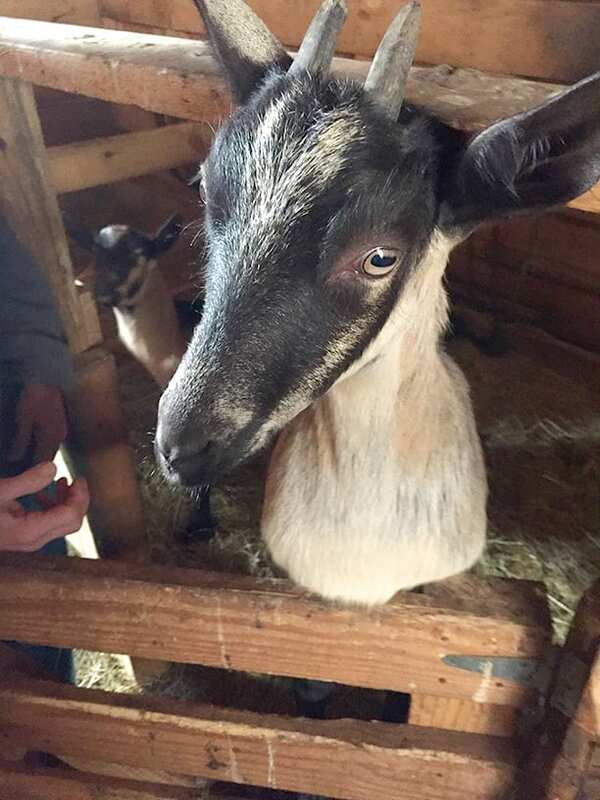 High Mountain Meadows Farm and Creamery bustles daily with the activity of various animals, but it is the cloven-hooved variety – specifically registered French Alpine goats – who dominate the attention of farmer/shepherd/cheesemaker. Gains’s “ladies” or “girls” as the 15 does are called, each producing a gallon of milk a day from about early spring to just before Christmas, at which time they are allowed to “dry” and rest for a few months before the cycle starts back up again. The busy season when kids are born, goats are milked every 12 hours, and cheese is made daily, is pure joy for Gains, who retired after 30 years as a registered nurse working primarily in the operating room. She retired fully at age 65. 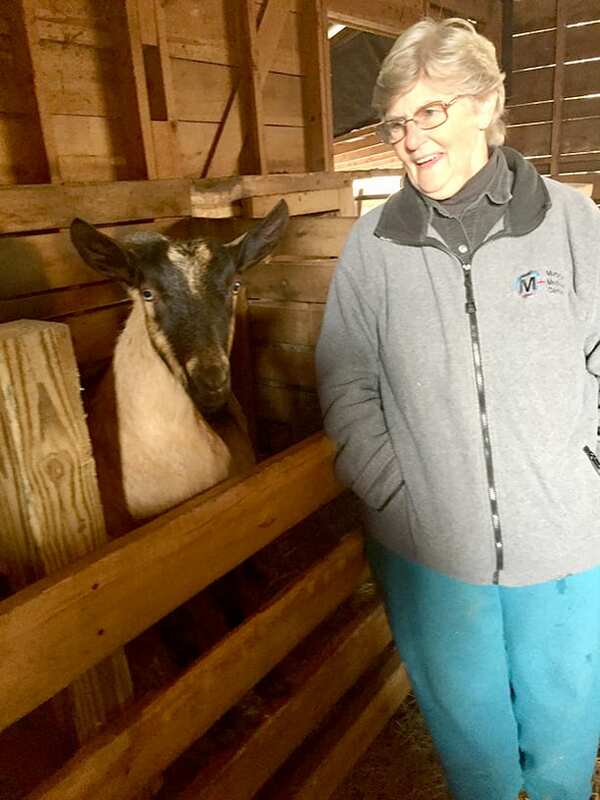 This year she turns 75 and quips that she plans to continue working on her farm until she is found in her meadow surrounded by her beloved goat herd. Gains has always loved animals. She decided while a nurse that when she retired she would pursue farming for enjoyment, and some income. She purchased her first two-plus acre parcel of land in 1991 and eventually added another 21 acres. Although mostly wooded, trees were cut, milled with a portable saw mill, and used to make the property’s barn. Gains carried and stacked board after board to the spot where the barn would be built. At first she owned horses, along with sundry dogs, cats, and chickens. 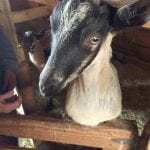 Eventually, because of her granddaughter Amber Swope’s involvement in 4H, she acquired goats. Horse stalls became goat stalls, and a donkey, Sophie, was purchased as official goat-herd guard. A turkey hen, Henrietta, acquired as a pet for Gains’ 97-year-old mother, Dorothy Wuertz, who lives with her, helps keep some undesirable critters out of the barn. Gains learned milking and cheesemaking primarily through Appalachian Sustainable Agriculture Project (ASAP). Based in Asheville, the group’s official mission is “to help local farms thrive, link farmers to markets and supporters, and build healthy communities through connections to local food.” ASAP does this by offering marketing support and training to farmers, helping farmers make connections with regional chefs and restaurants, hosting an annual Business of Farming Conference, and offering workshops and educational events. Gains learned which grasses to plant that would result in healthier goats and better milk. She learned when to allow the male goat, buck, to impregnate the females, how to cull (select) new kids to keep, and when to retire does (there are currently four “old ladies” at High Mountain Meadows). Any extra male kids born on the farm are eventually castrated and sold for meat or for clearing land. Gains pointed out that some cattle farmers are realizing the value of adding goats to fields to keep briars and weeds cleared. Most importantly, Gains learned all the logistics involved in milking goats and making cheese. 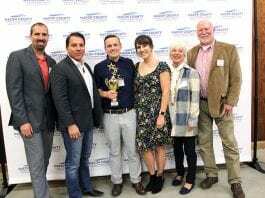 A $6,000 Gold Leaf Foundation grant gave her the “courage,” she said, to begin the process of building, equipping, and acquiring licensing for her creamery – an undertaking totaling about $30,000. Another NC State agriculture grant assisted in the purchase of a main piece of equipment, the pasteurizer recording device, which monitors the process and measures the air space temperature to ensure all airborne bacteria is killed. 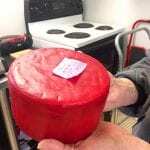 An inspector visits at least twice annually to view the recorder and take cheese samples for testing. Plus, monthly milk samples must be sent to Raleigh for evaluation. Sinks, tables, and refrigeration were also purchased for the creamery. Gains shared that the whey, separated out from the goat’s milk so that cheese can be made, serves as the healthy, protein-rich liquid in her family’s smoothies. During the milking season, she makes and sells the soft cheese, chèvre. 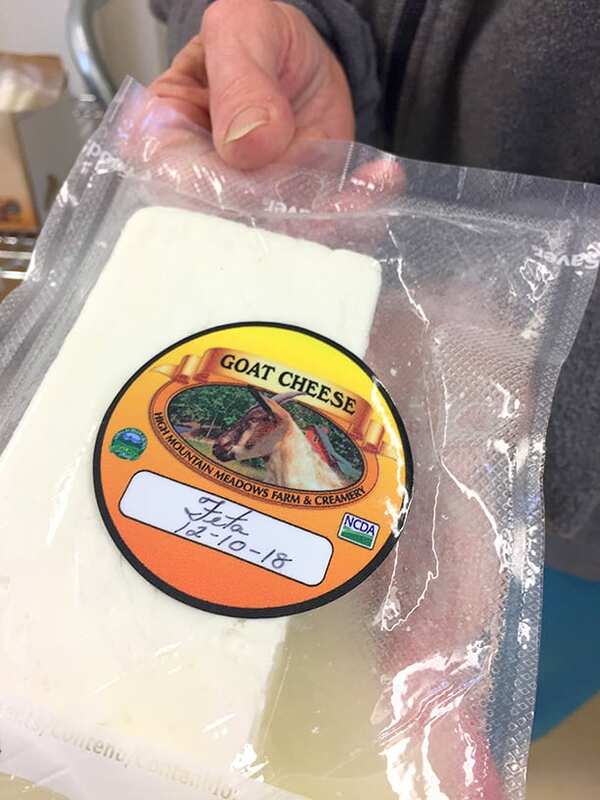 For the popular High Mountain Meadows “Cowboy Candy” chèvre, which sells out quickly at the Franklin Farmer’s Market, Gains grows her own sweet and hot peppers, pickles them, and then adds some of the mixture to the goat cheese to give it flavor and a little heat. In winter, she allows her hard cheeses, feta and Gouda, to age. Regularly, wax-wrapped Gouda cheese wheels must be turned so there is no moisture build-up. 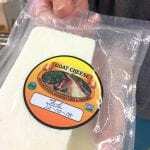 One gallon of goat’s milk makes one pound of cheese. Last year, Gains made 600 pounds of goat cheese. 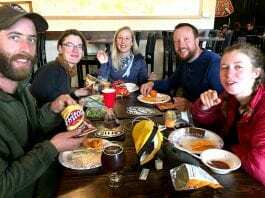 It was at an ASAP conference where she networked with Western North Carolina restaurateurs and learned that Guadalupe, in Sylva, sought a local feta cheese source. Gains supplies the restaurant with one-pound rectangular blocks of cheese. 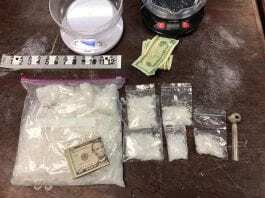 She also supplies cheeses to Crane Creek Vineyard in the North Georgia Mountains. People come to the farm and buy, and she sells at special events. When she calls the goats into the milking area of the barn, they line up and come through the door in pairs. Each one goes directly into the holding area and waits to be hooked up to the automatic milker. While they stand patiently, Gains brushes them. After the three-minute milking, she washes their teats and sprays them with a disinfectant to protect against any bacterial infections. The goat pair is excused and another waiting pair takes their place. In the last few years, Gains has begun to expand her cheese-making operation. Not only does she allow farm tours, catering to both homeschool and public school groups as well as other kid-oriented organizations, but she will teach cheese making skills in two-day sessions to two students at a time. A renovated barn loft space serves as sleeping quarters for overnight guests. Plus, she opened up the farm last year to at least 12 families of seriously ill children involved in The Still Place.